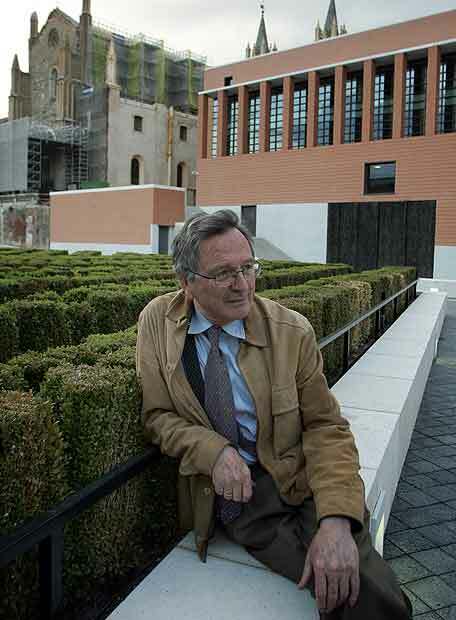 Last night Rafael Moneo, Madrid-based architect and Harvard Graduate School of Design professor, kicked off Columbia’s third annual conference on architecture, engineering, and materials with a keynote lecture on his Northwest Corner Building, a new interdisciplinary science facility between Chandler and Pupin halls. The Post Ductility conference runs through Friday and will conclude with a discussion by GSAPP dean Mark Wigley, and Werner Sobek, Steven Holl, and Matthias Schuler. Next year’s conference theme is slated to be Polymers: Plastics in Architecture and Engineering.